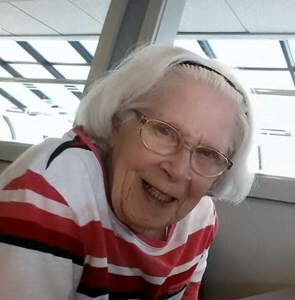 Indianapolis - Beverly Lou Colgate, 81, loving mother of two children, passed away Sunday, February 3, 2019. Beverly was born April 14, 1937 in Mitchell, IN to the late Nimrod and Mary (Wilson) Ramey. She was a 1955 graduate of North Vernon High School. She married J. Ronald Colgate on October 6th, 1957. In her spare time, Beverly enjoyed crocheting and cross stitch. She also enjoyed baking, watching baseball and attending her grandchildren’s sports games. Above all else, she loved visiting with family and friends. Beverly was preceded in death by her parents and her two brothers, Junior and John. She is survived by her children, Leigh (Laura) and Lisa (Annie); her grandchildren, Cameron and Casey; and several nephews and nieces. Beverly’s family will receive friends Monday, February 11, 2019, from 3 – 4 p.m. at St. Paul’s Lutheran Church, 3932 Mi Casa Avenue, Indianapolis, IN, 46237. A celebration of her life will be conducted at 4 p.m. A reception will follow from 4:45 – 6 p.m. If you would like to share a memory of Beverly or a special message with her family, please click the “Share Memories” icon above. Add your memories to the guest book of Beverly Colgate. The kindness you always gave to me and others. I will forever miss Beverly's bright smile as she and her black pug made their rounds through our neighborhood, rain or shine, hot or cold. She always had an encouraging word for me as I recovered from illness, and we laughed while comparing nursing homes. I'll never forget how she shared her strength. A light has gone out on one corner in Bradford Place. Peace be with Beverly and her loved ones as she begins a new journey. Beverley was such a sweet lady and such a faithful Christian. I am sure we will meet again in the second coming of our Lord. I loved Beverly’s smile and meeting her in the street walking Madelyn Grace. She was always encouraging, asking me what Bible study I was doing and telling me what she had learned in her latest Bible study. We always hoped we would someday do a study together. Someday we will stand together before the throne of God.